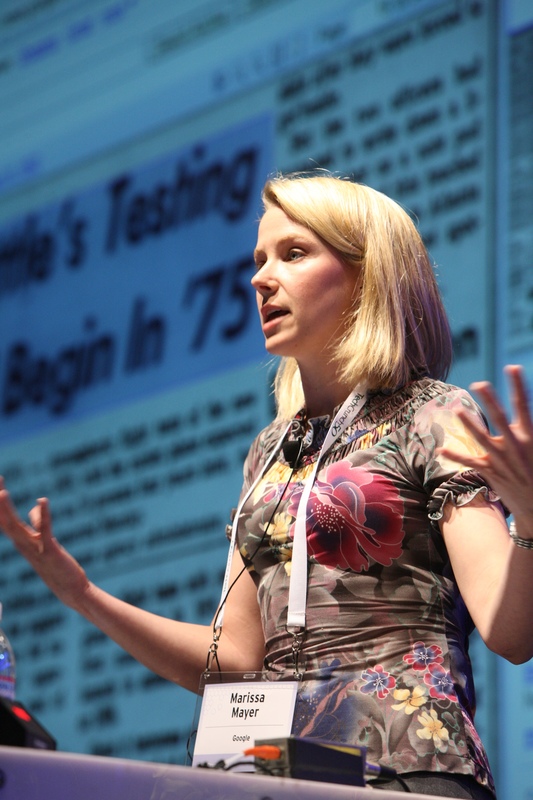 Fortune just released its annual 40 Under 40 List and Marissa Mayer came it at No. 1, making her the first woman ever to be ranked No. 1 on the list. While Mayer leads the way, this year’s list also includes more women than ever before, with women in 14 of the 40 total spots. Some of the other names are Tracy Britt Coo; Financial Assistant to the Chairman of the Berkshire Hathaway, Liv Garfield, CEO of BT Group’s Openreach and Avani Davda, CEO of the Tata Starbucks Limited. (September 19, 2013, New York, NY) For the fifth year in a row, FORTUNE reveals its annual 40 Under 40 list of the hottest young stars in business. Yahoo President and CEO Marissa Mayer takes over the top spot from Google’s Larry Page, becoming the first woman ever to be ranked No. 1 on the list. Jack Dorsey of Square and Twitter is featured on the cover and comes in at No. 2 this year, while Facebook’s Mark Zuckerberg falls one spot to No. 3. This year’s list also includes more women than ever before, with 14 of the 40 total spots. Jack Dorsey (#2) talks to FORTUNE about Twitter, Square, and his beloved hometown, St. Louis. ONES TO WATCH: This is no runners-up list—we’re watching these 12 high-flying individuals closely, and you ought to be, too. They come from the worlds of finance, tech, energy, politics, and even sports. Meet our 2013 Ones to Watch. THE EARLY YEARS (BABY PHOTOS GALLERY): Take a look back at our 40 Under 40 when they were *way* under 40. HIGHEST PAID UNDER 40: Which young executives at public companies brought home the most bacon in 2012? And, exactly how much bacon are we talking about? BEST-KEPT SECRETS: FORTUNE cajoled this year’s top 40 into sharing facts about them you won’t find on the Internet (until now). FORTUNE ZOOM: A new book reveals the secrets, strategies, and insights of five years of FORTUNE’s 40 Under 40. The new issue of FORTUNE will hit newsstands on Monday, September 23.